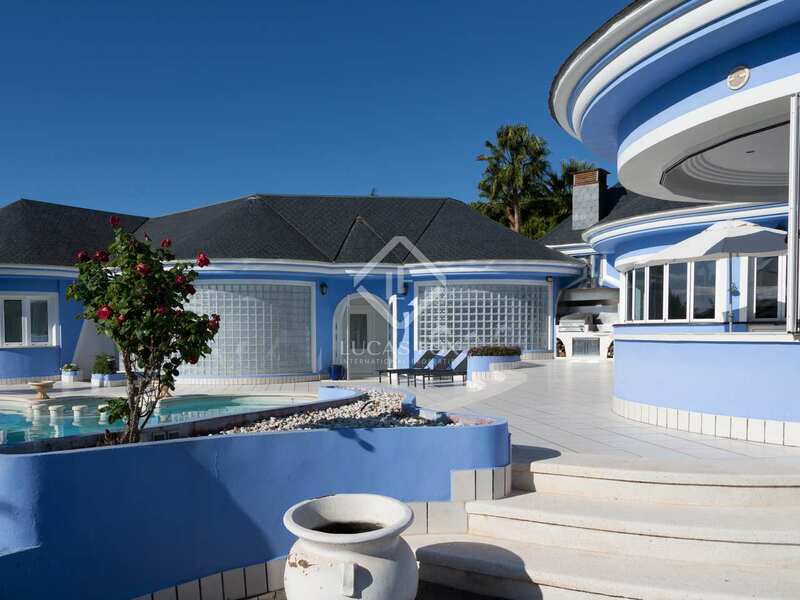 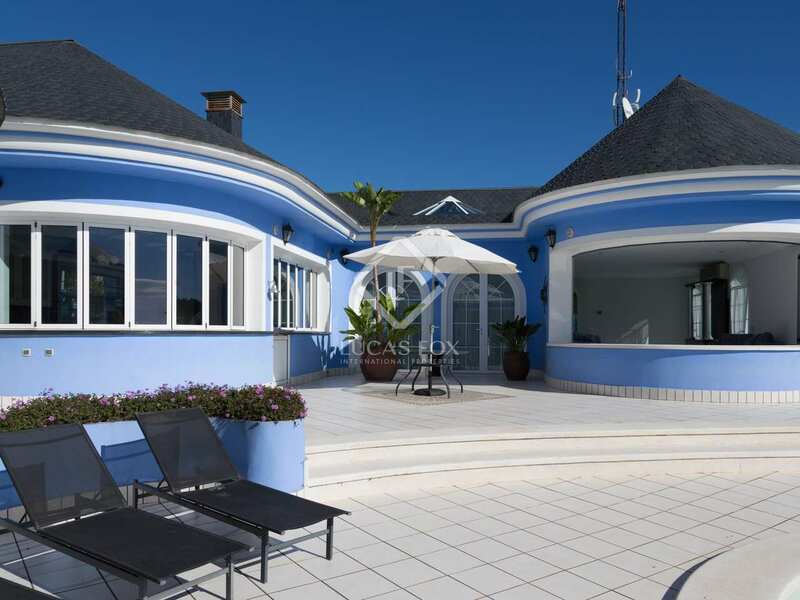 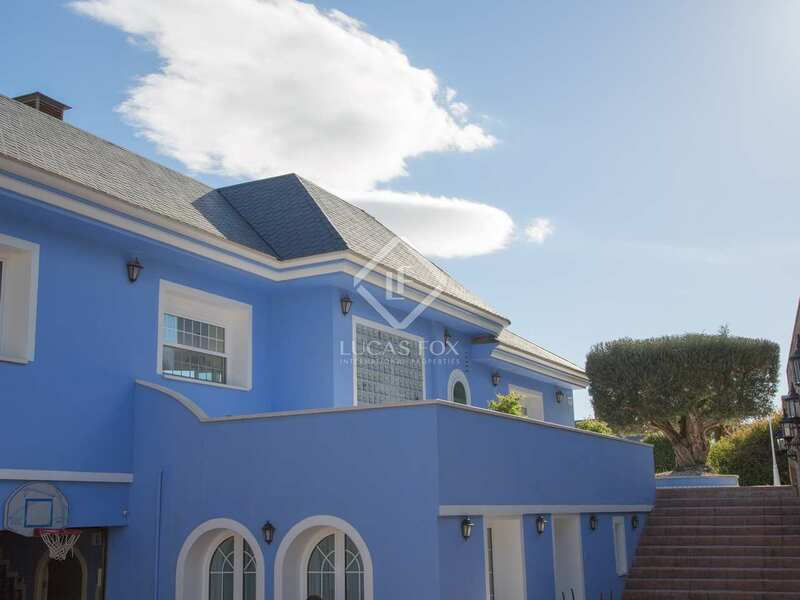 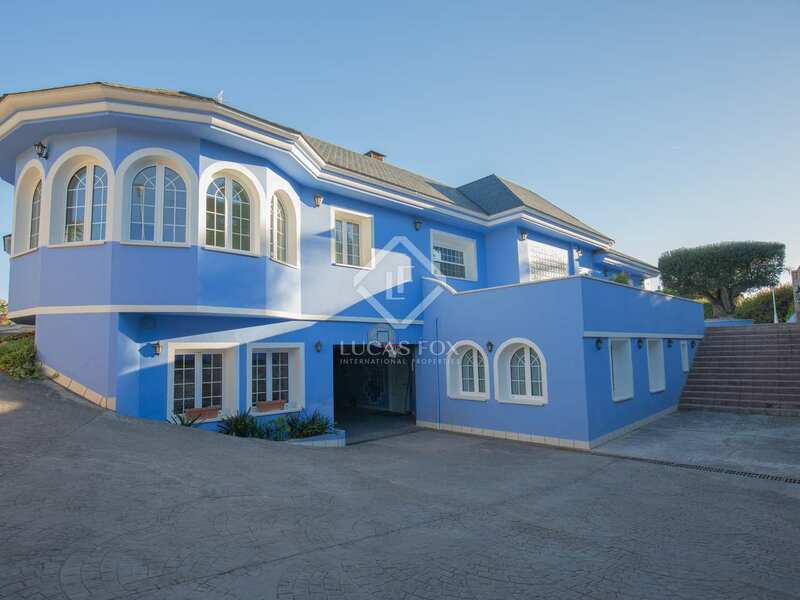 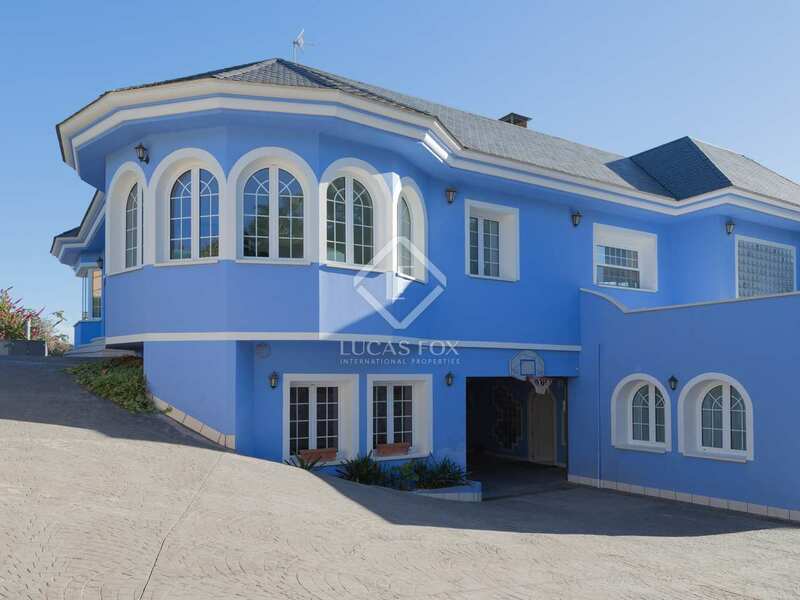 Exclusive villa with a unique design, sea and mountain views, a pool and a garden, for sale in Los Monasterios. 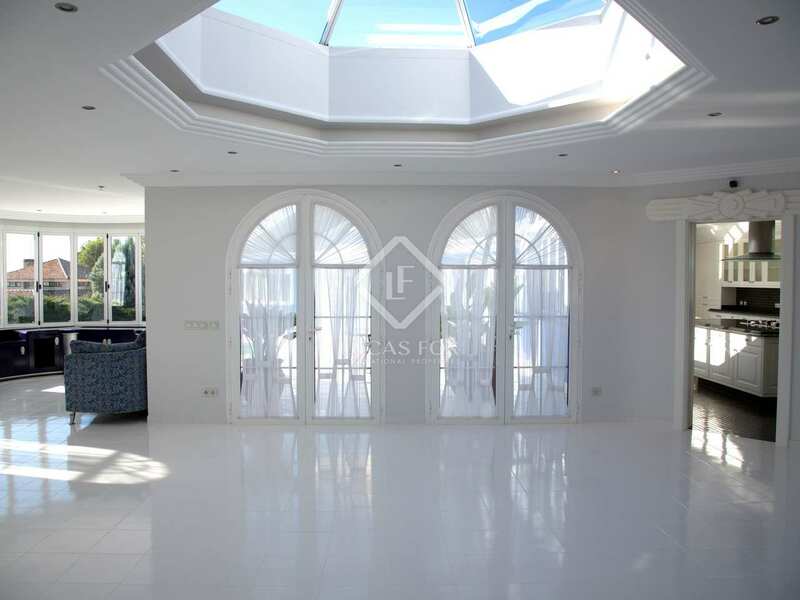 This magnificent villa, measuring 823m², is located the Los Monasterios residential development in Valencia. 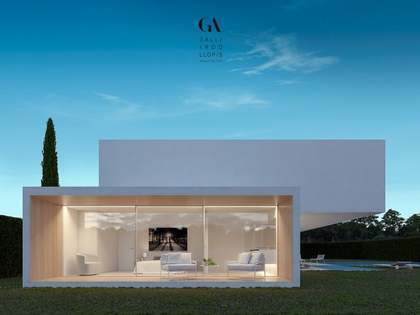 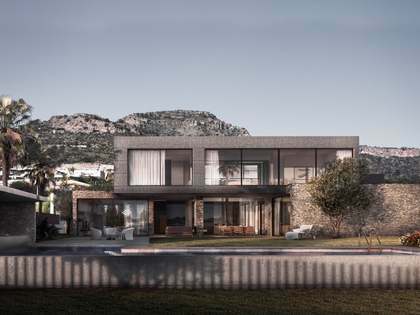 This bright, Mediterranean home offers sea and mountian views thanks to its favourable orientation. 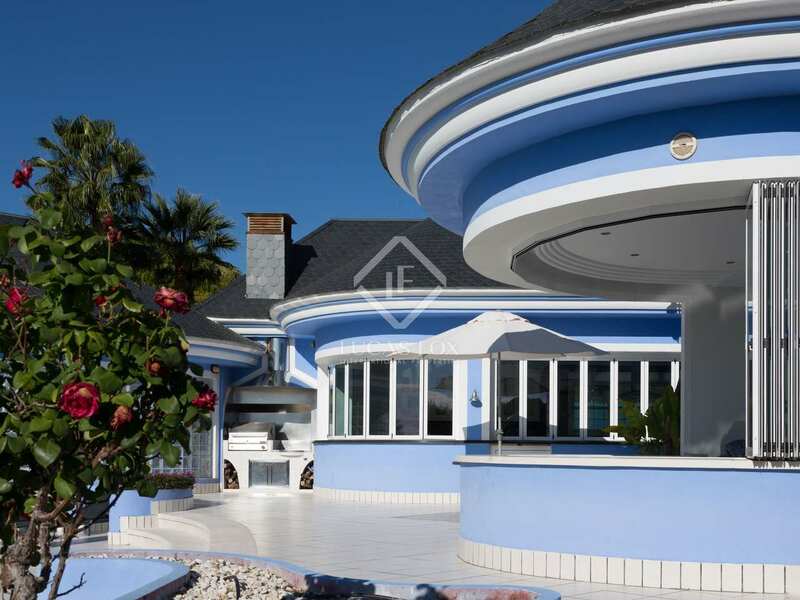 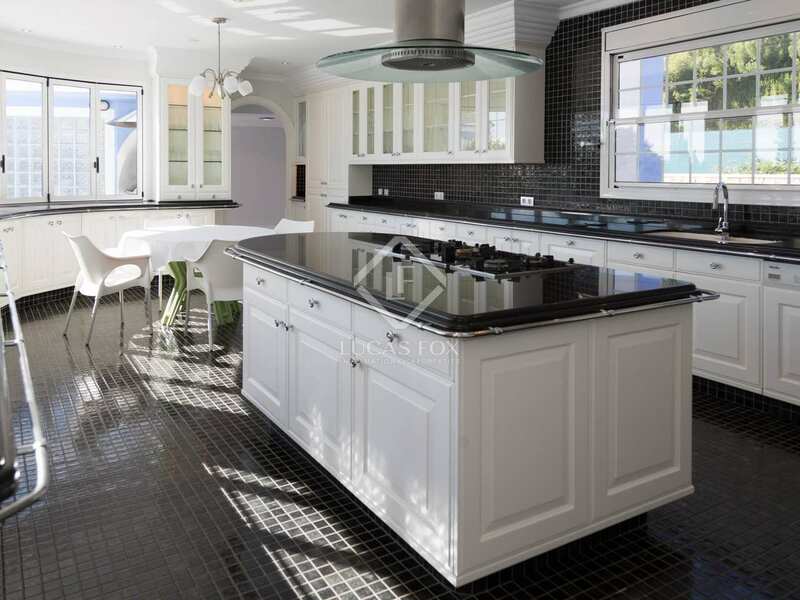 The exclusive design of this property makes a unique home within the development. 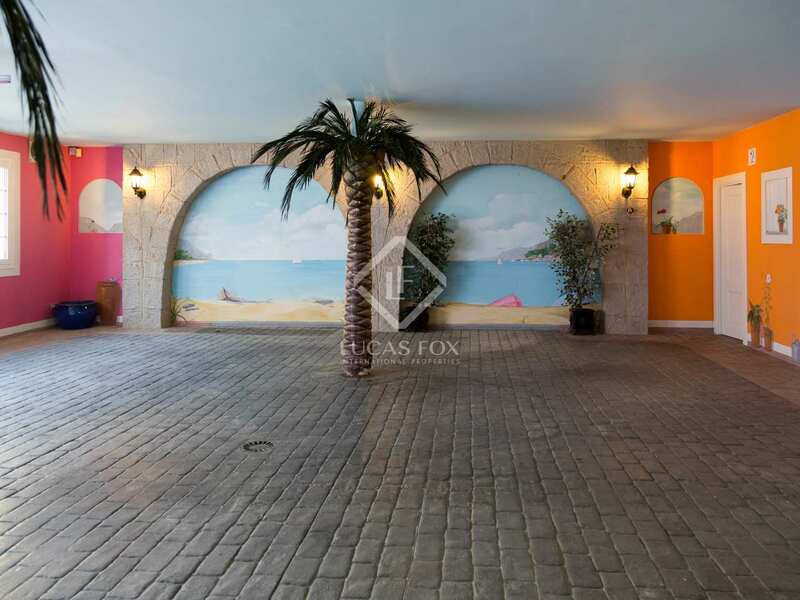 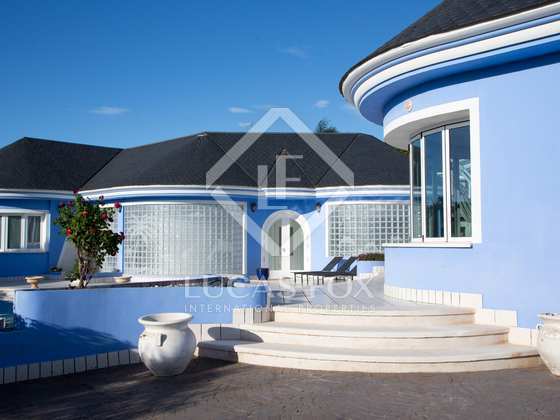 The exteriors include gardens plus an area for pets. 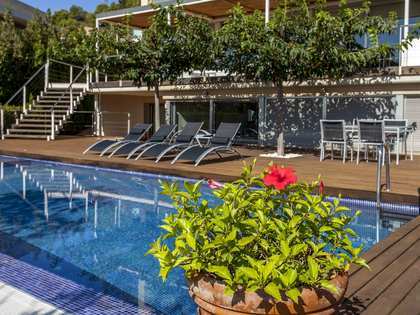 There is also a sunny pool and barbecue area from where sea views can be enjoyed, a boiler heats the water. 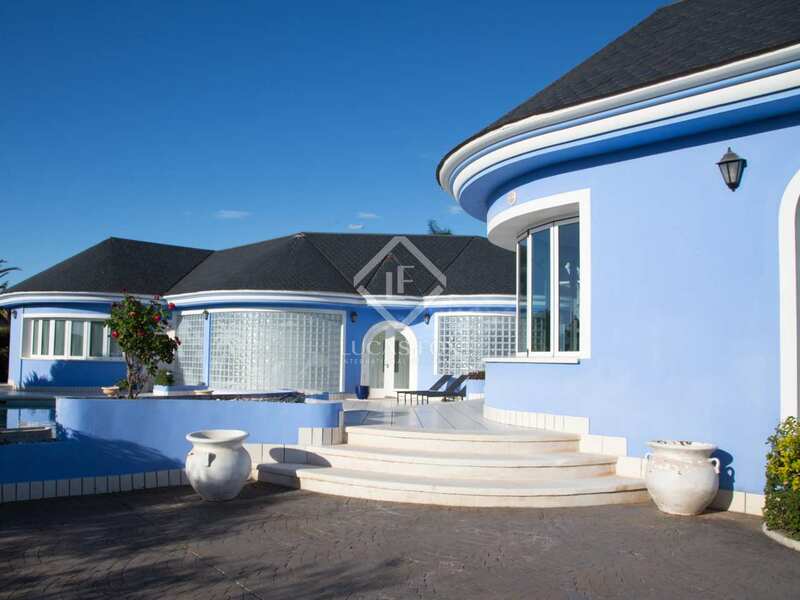 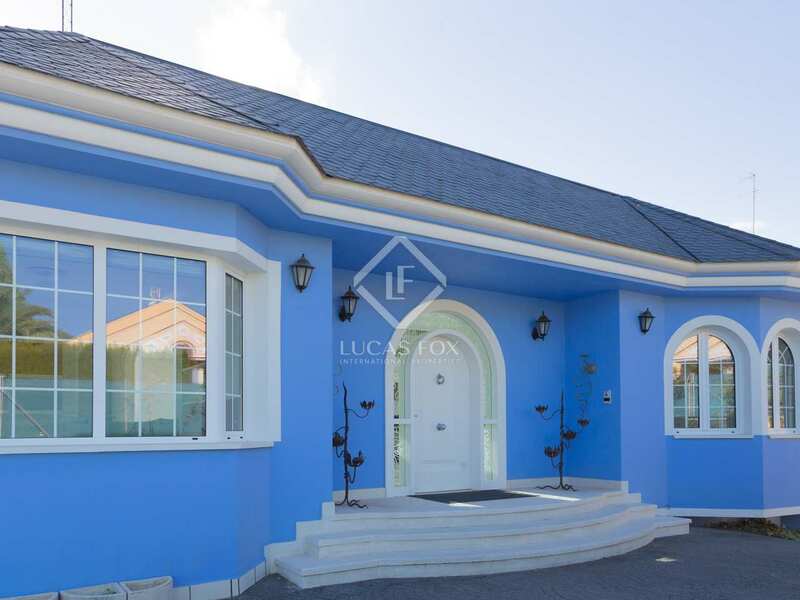 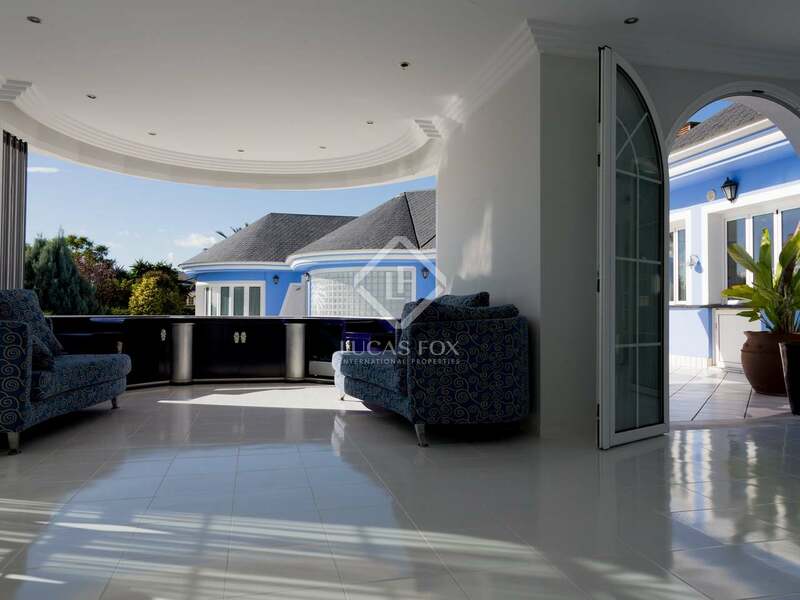 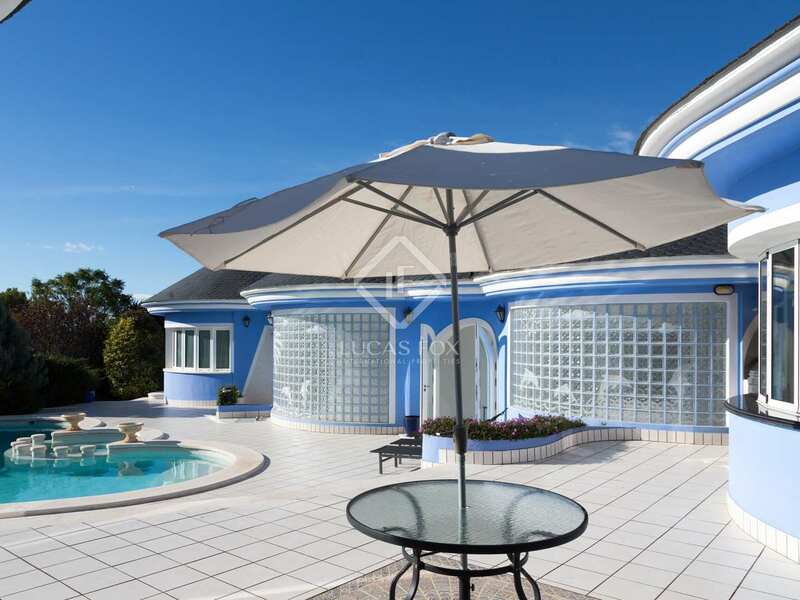 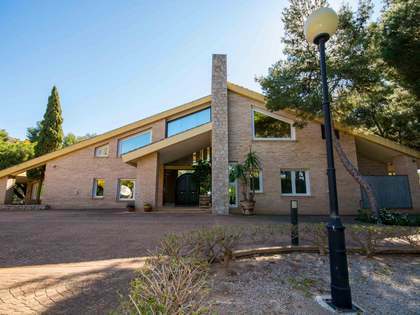 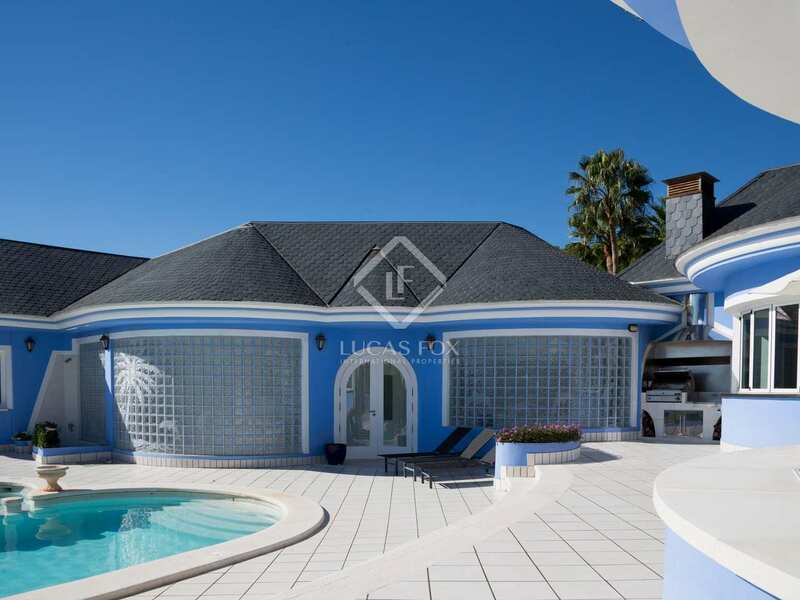 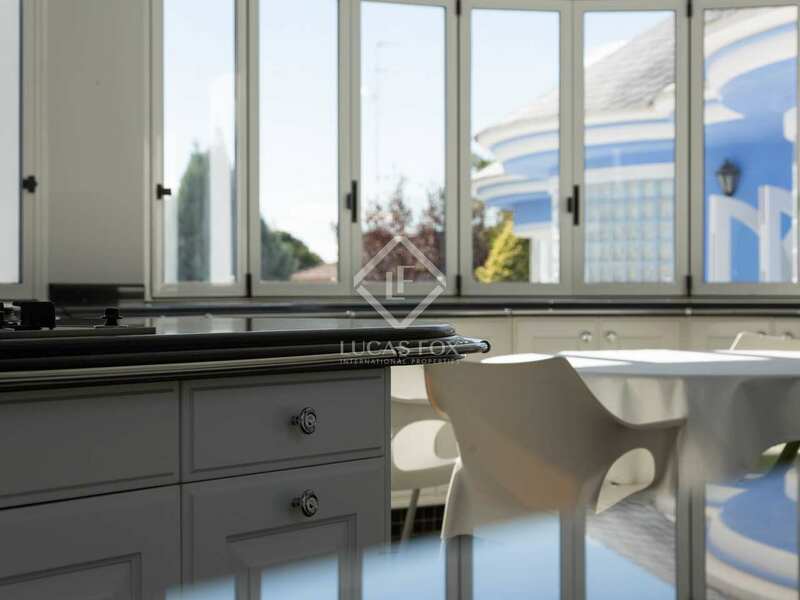 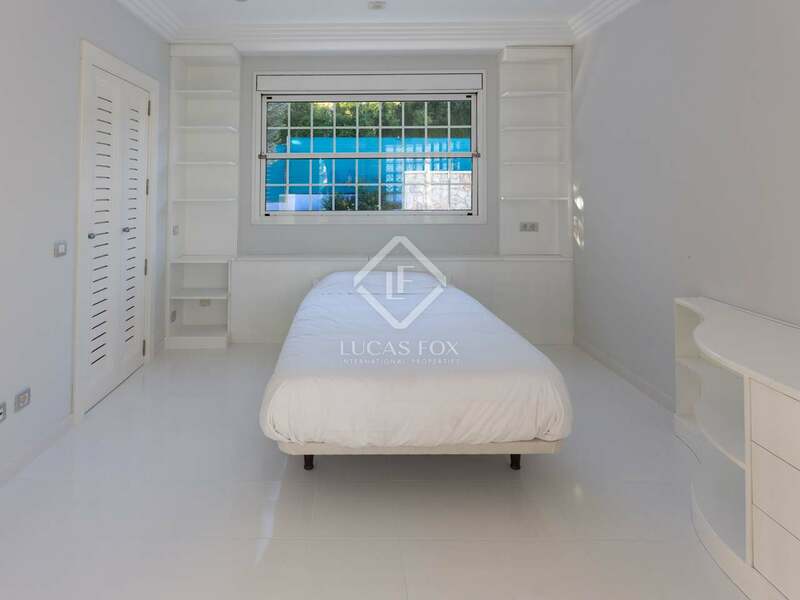 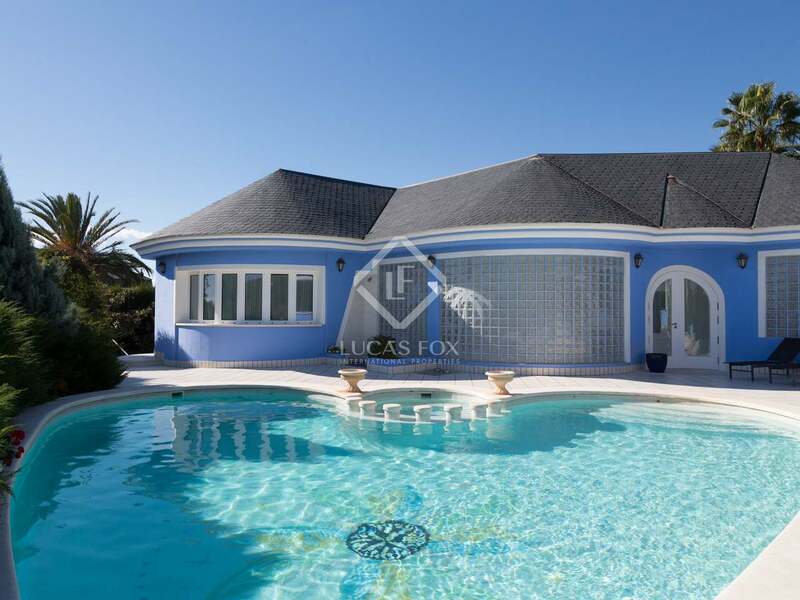 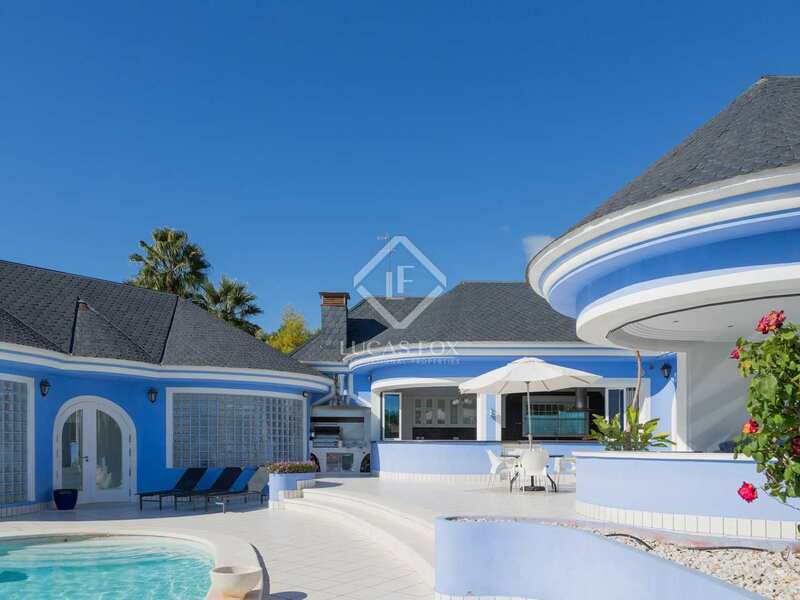 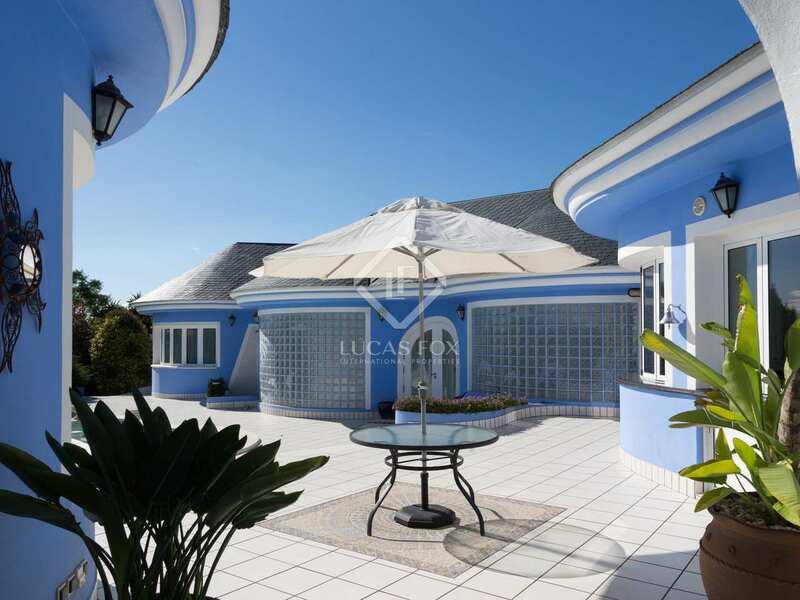 The villa itself consists of 5 bedrooms (all with fitted wardrobes and en-suite bathrooms), a large living room, office, and the spacious and bright kitchen connected to the pool and barbecue area. 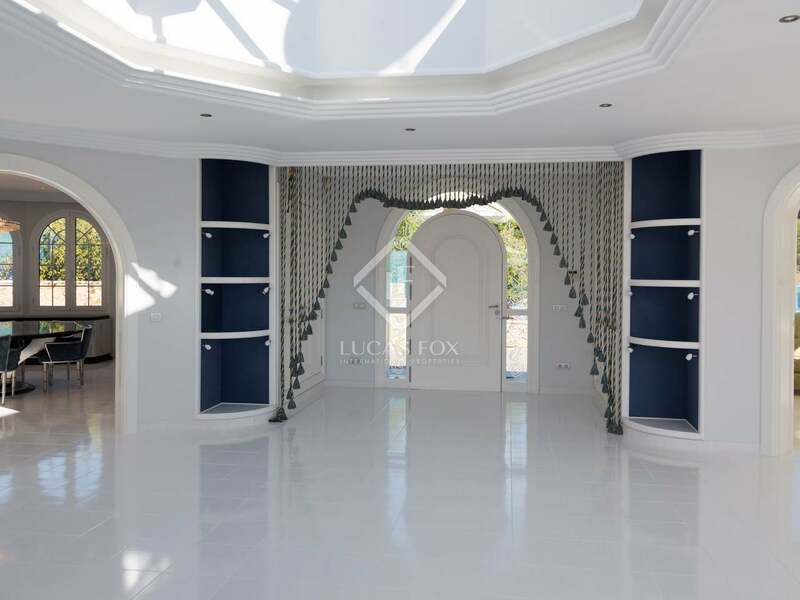 The lower floor, which has the same dimensions as the main floor, has a 4-car garage and a tool and machinery room where there is a 15,000-liter tank and a generator in case of emergency. 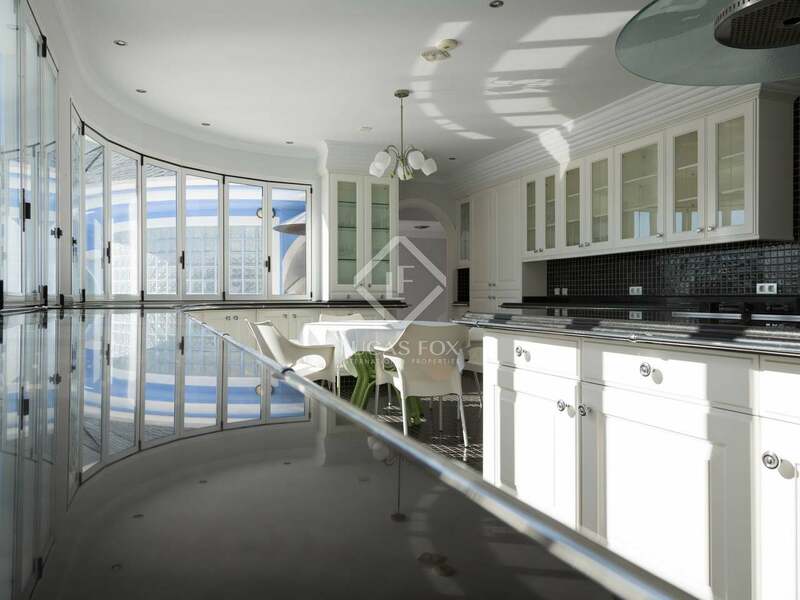 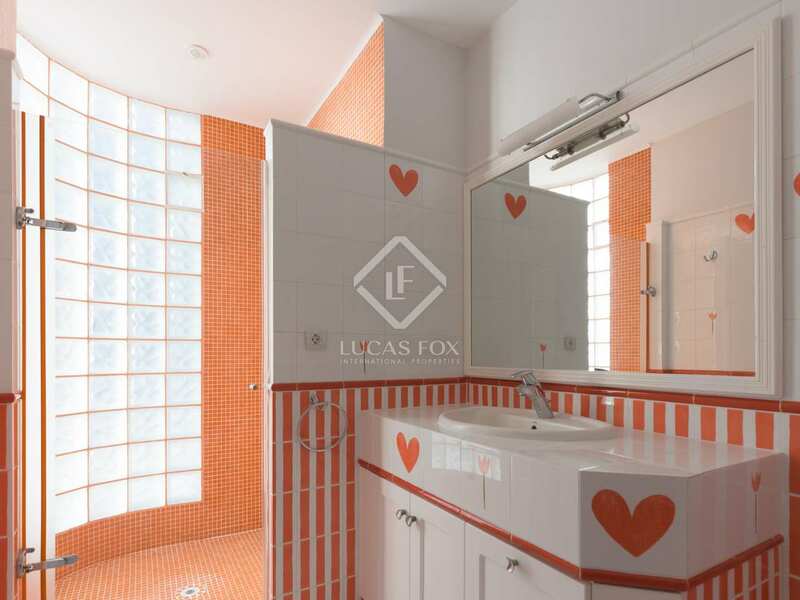 It also consists of a large pantry and a laundry area, which connects to the upper floor through a duct. 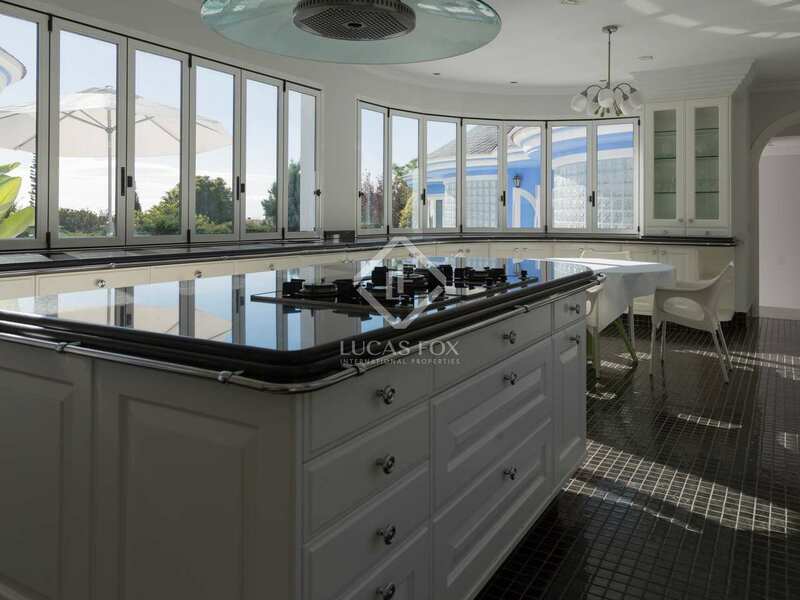 The service area has its own bedroom and kitchen. 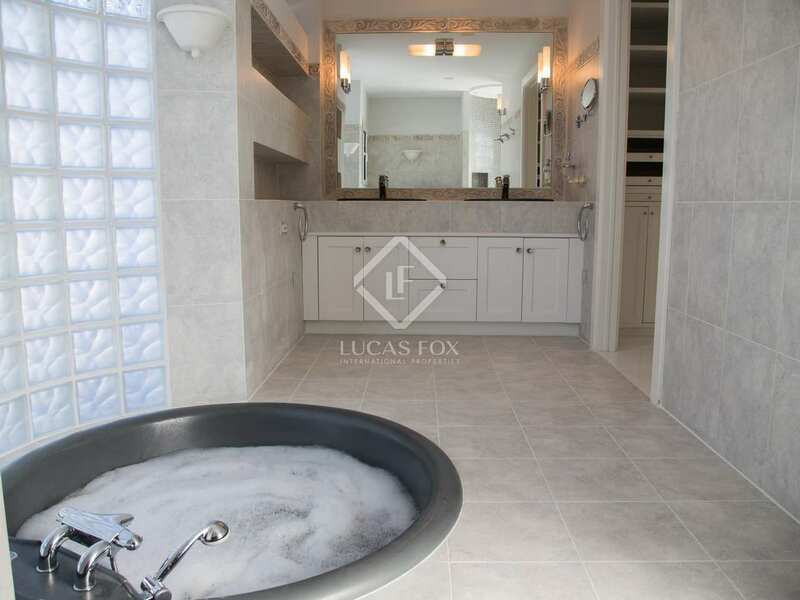 A leisure area on this floor includes a gym, sauna, bathroom, and billiard/games room. 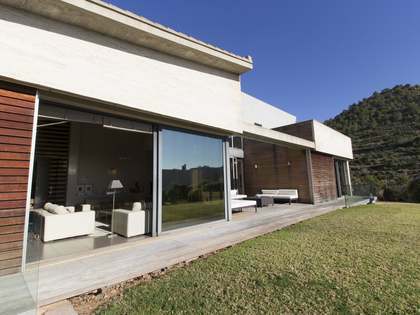 Additional features include a perimeter alarm, security windows throughout and underfloor heating. 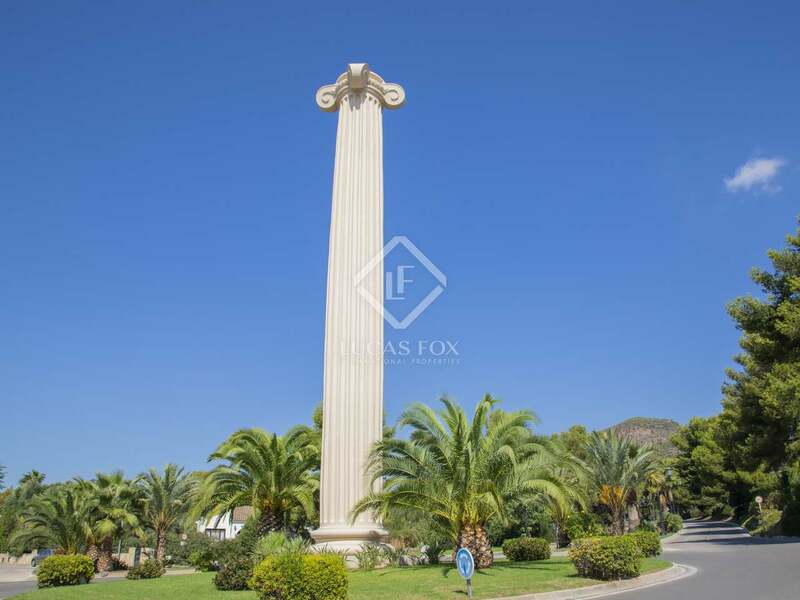 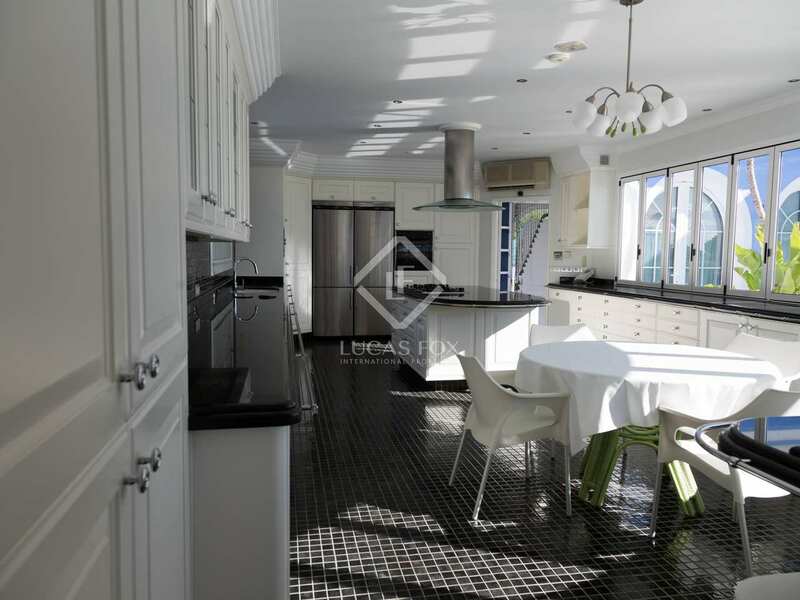 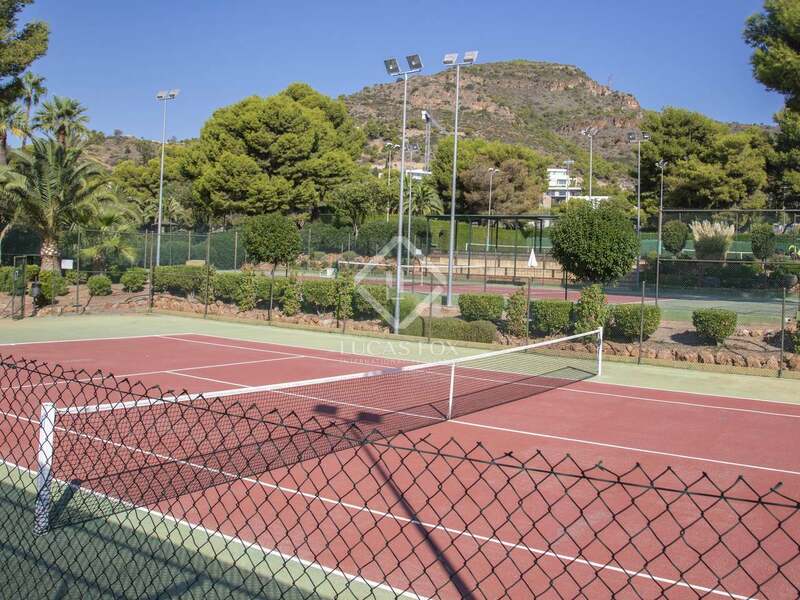 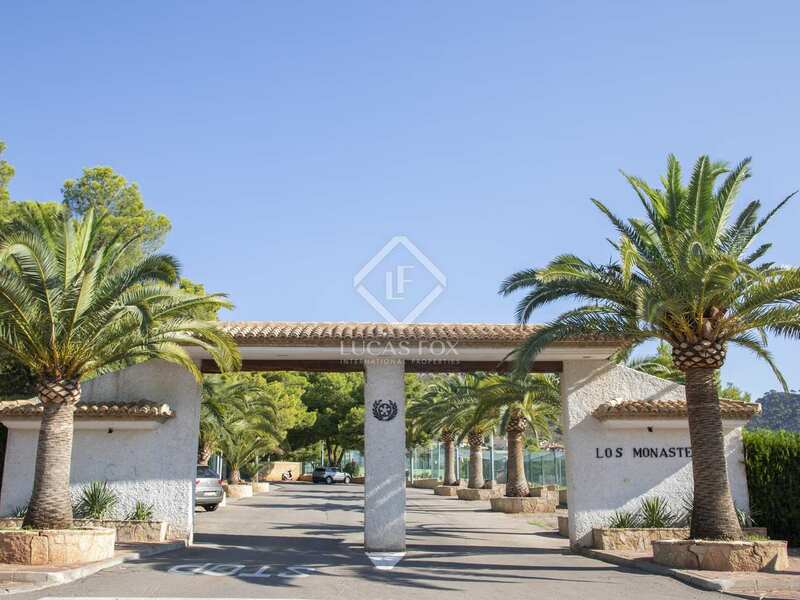 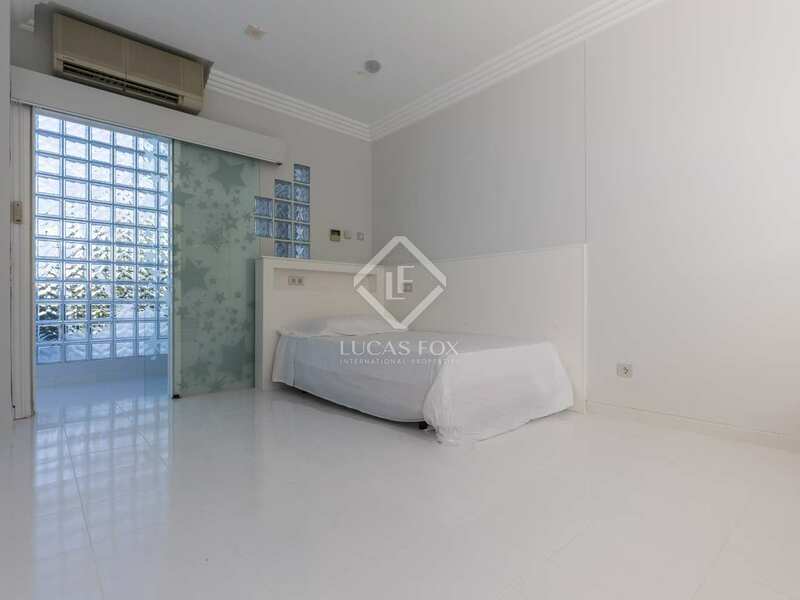 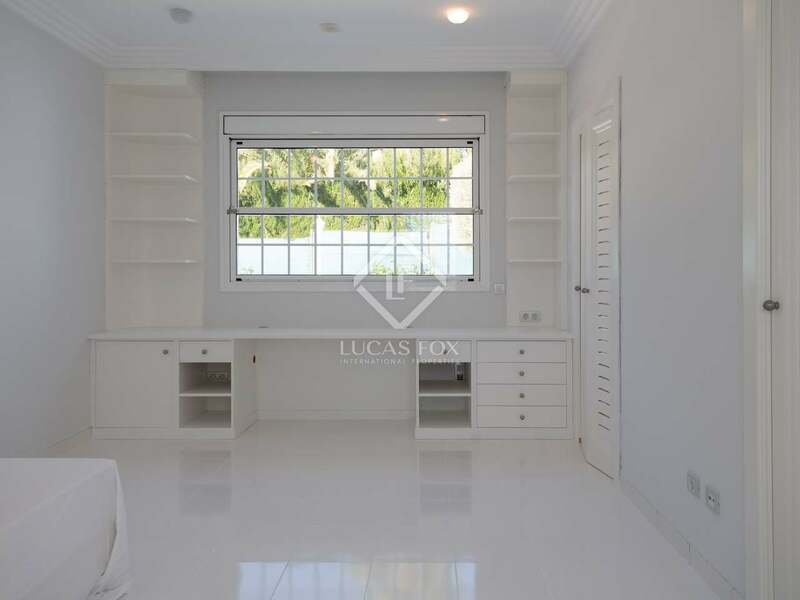 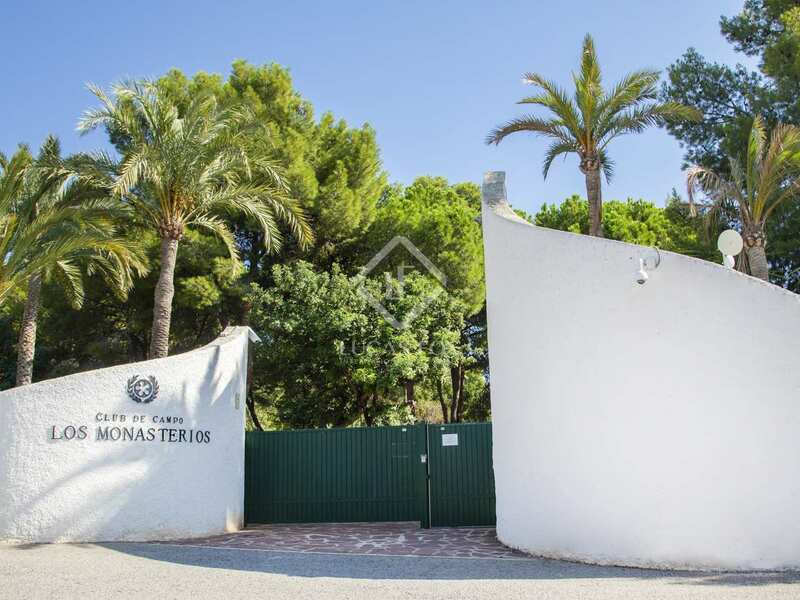 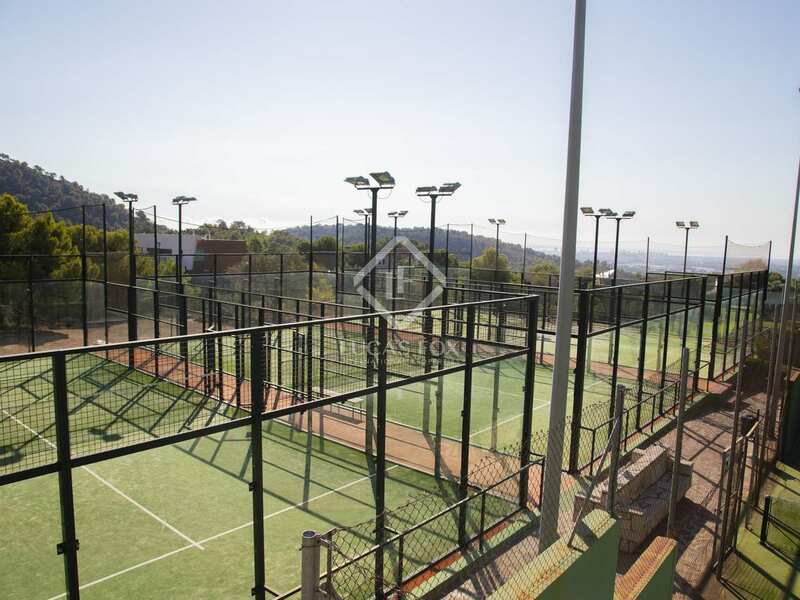 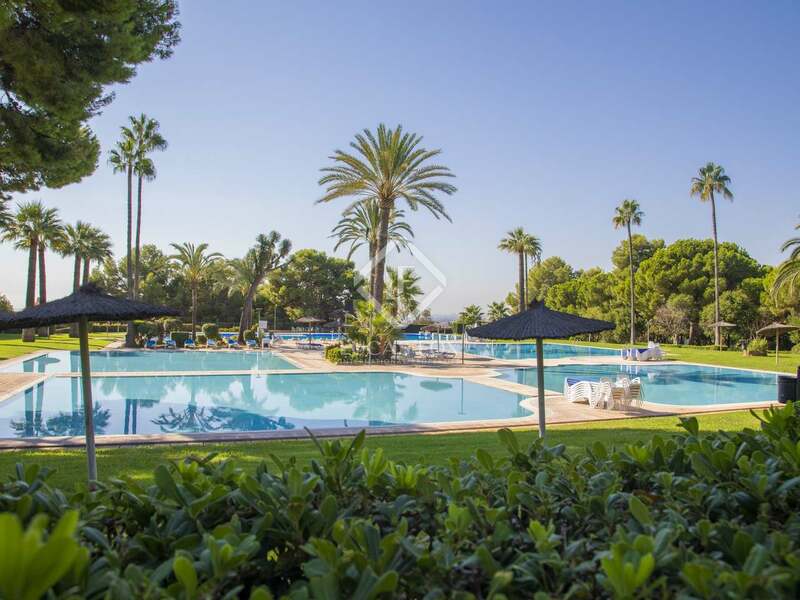 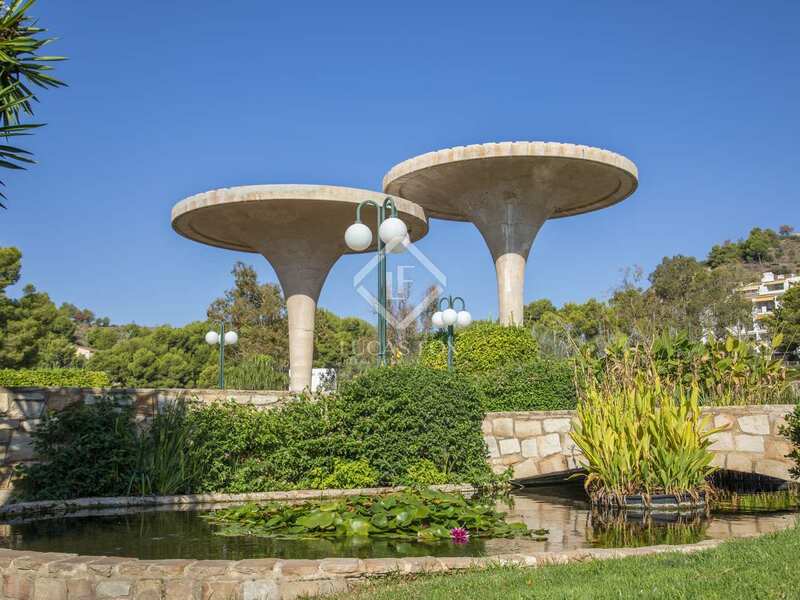 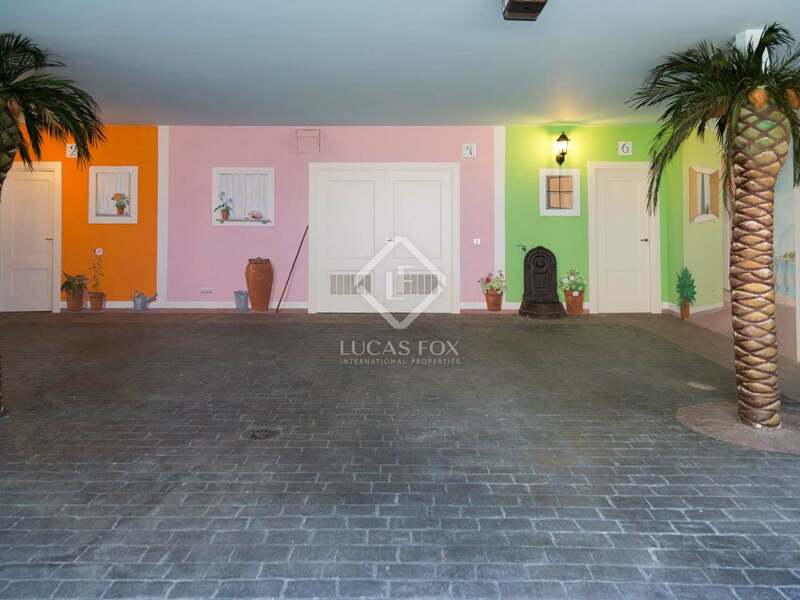 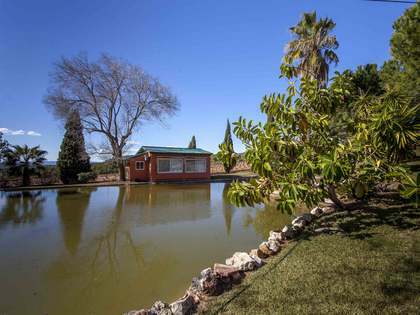 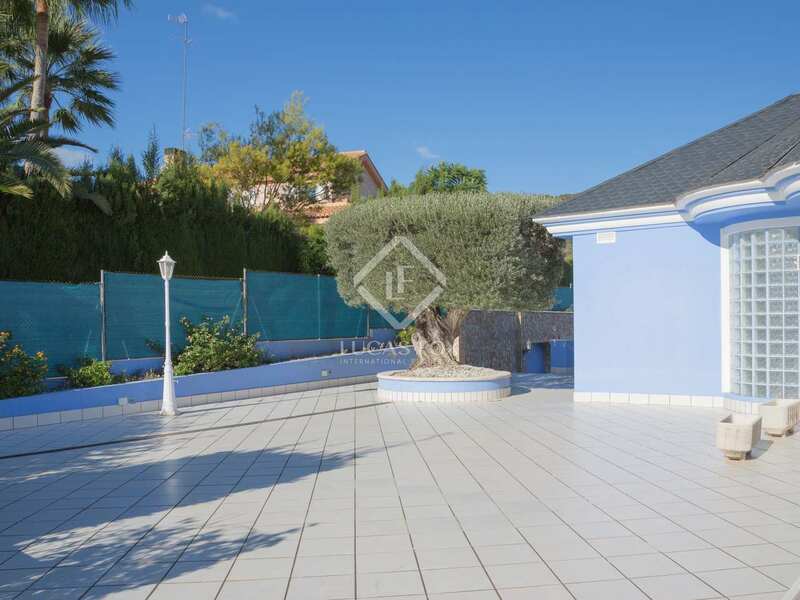 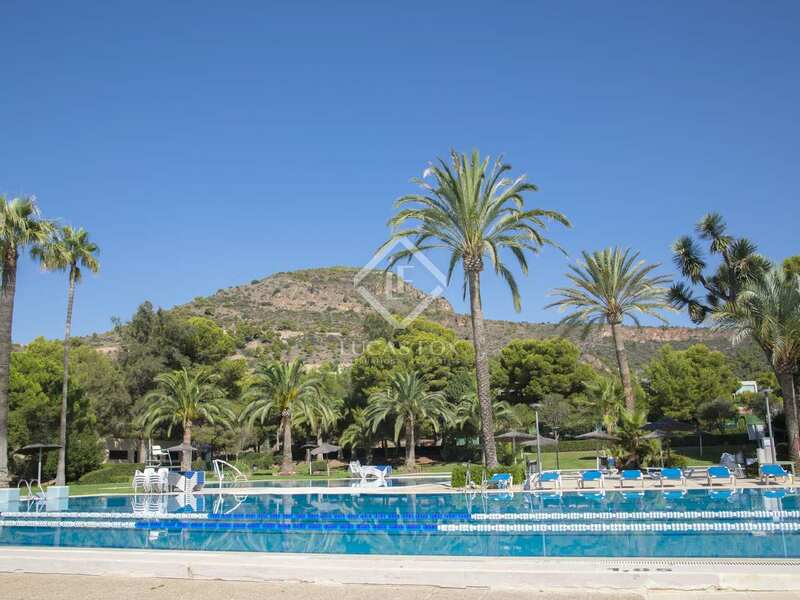 Property located in the Los Monasterios development, in Valencia.